We all have to eat, right? So, inevitably, that means we all have to grocery shop. As a food blogger, I definitely go to the grocery store more than the average person—sometimes up to 6 or 7 times a week! I practically live at my local Whole Foods. Most of the employees there know my name and they’re super nice to me, always giving me recommendations and pointing me to the sale items. This is likely because they feel sorry for the lame girl who has nothing better to do than spend Friday night at the grocery store. But, the truth is, I actually LOVE going grocery shopping. It provides me with new inspiration! I’m like a kid in a candy store (somewhat literally—they do sell candy there 😉) scurrying around the store looking for new and fun ingredients to experiment with. When I become inspired and formulate a new recipe, I usually list out the basic ingredients I want to work with first. The inspiration gives me the recipe idea and then I usually come up with some of the ingredients once I’m at the store based on what’s fresh and seasonal. It’s a bit of a mixed bag—there are some ingredients that I absolutely want in my recipe and others that I am flexible on. Step 1: I become inspired: Okay, so duh. This is how all my recipes start. 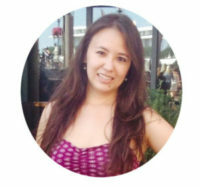 It’s literally the cornerstone of my blog: I become inspired by something, that inspiration fuels a new recipe idea, and then I share that inspiration with others, so they can become inspired too. In this particular case, I was eating takeout from my local Thai place, when I came up with an idea for a Thai-inspired burger recipe I wanted to try out. The dish I had from the restaurant was spicy minced chicken with Thai basil and chili peppers. 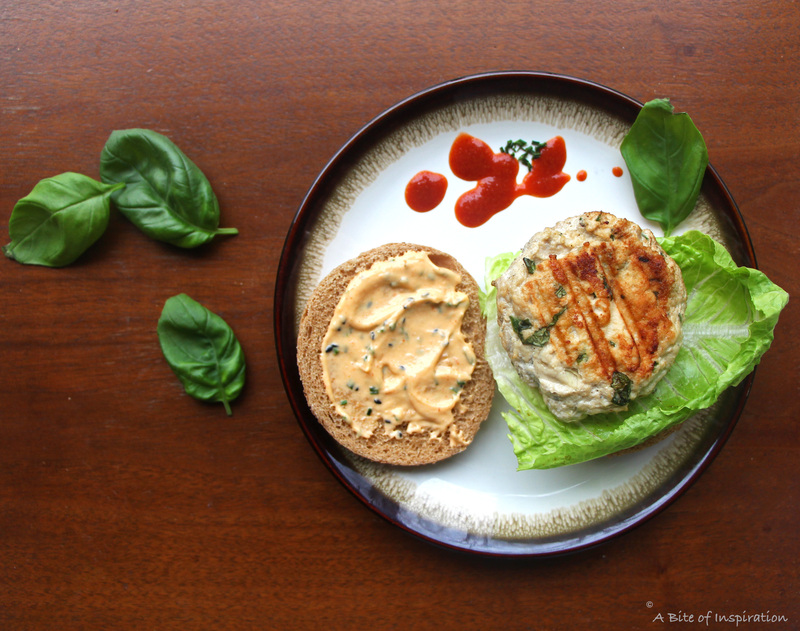 I thought it might be fun to re-create the dish in the form of a delicious, flavorful Thai-Style turkey burger. I brainstormed my ingredients, listed them out, and headed to the store. Step 2: I get to the store and they’re missing ingredients: Inevitably, the grocery store is always out of something. The more you feel like you MUST have a certain ingredient, the more likely they are to be out of it. Honestly, it’s Murphy’s Law (anything that can go wrong, will go wrong). Now, this can go two ways. Sometimes they’re out of an item and I end up discovering something else that actually works BETTER than my original ingredient idea. This is “grocery store inspiration” at its finest. Other times, I am completely attached to an ingredient that is central to the dish and I’ll go to any length to get it. Both of these scenarios happened to me with this dish. 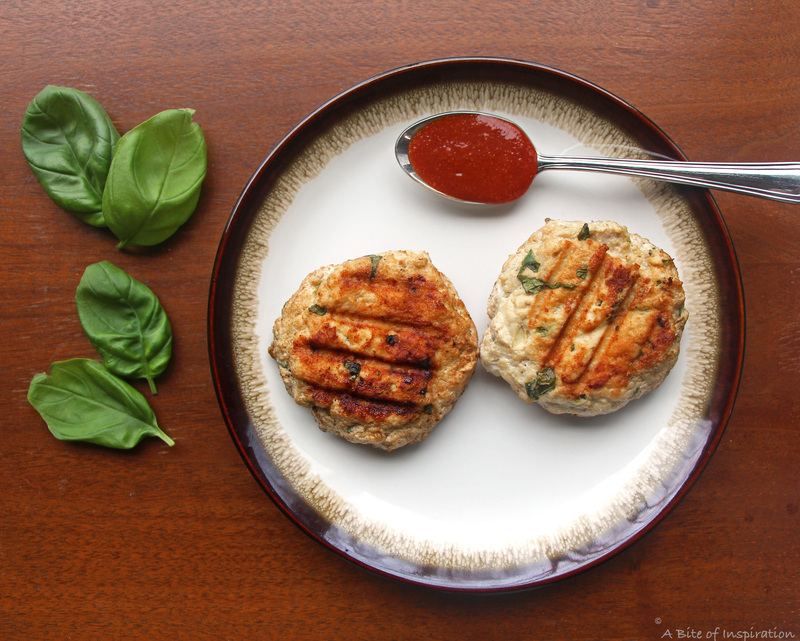 Scenario #1: A missing ingredient actually made my dish better: When I got to the store to shop for my Thai turkey burger ingredients, I went straight for the meat counter to pick up the ground turkey. SURPRISE! The guy tells me he just sold his last pound to that lady over there. I turn to look at her and see that she’s wearing a sweatshirt from my rival university. Great, now there’s an arch villain involved in my grocery store adventure (just kidding—I’m sure she’s a very nice lady). I have two choices here: steal the ground turkey out of her cart and run OR try to adapt. Given that I’m not a crazy person, I decided to go with the latter choice. The guy at the counter tells me they have freshly ground chicken breast. Actually, that works better than turkey! My original dish at the Thai place was chicken anyway, so why not make a chicken burger? Thank you, woman-who-took-the-last-pound-of-ground-turkey—you are no longer my nemesis. See? Grocery stores are an inspiring place, you guys. I thought I had all my ingredients picked out, and then the grocery store inspired me to try something new that turned out even better! Scenario #2: A missing ingredient will ruin my dish, so I have to find it at any cost: I had my ground chicken breast and all the other ingredients for my recipe. Now, all I needed was fresh chives. I was set on having chives in this dish early on because of their fresh, spring flavor, so I made my way to the fresh herb section and, of course, the only herb they were out of was chives. I asked the produce guy (his name is Carl and he’s AWESOME!) and he said they hadn’t had fresh chives for a week. Sigh. Lucky for me, there are four other grocery stores in my neighborhood. That’s right, folks. We have five grocery stores within a 3-mile radius of one another, but we don’t have a movie theater. Seriously, it’s ridiculous. But that’s a song for another time. Anyway, I drove to the next grocery store. They’re also out of fresh chives. The guy working there doesn’t even know what a chive is. Ugh. Next store, also out of fresh chives. Is there a chive shortage or something? Finally, lucky store number four, I finally find a slightly bent up package of chives behind the rosemary. VICTORY! I get home and test out the recipe. Sometimes, the recipe is perfect and all I have to do is make it again and take the pictures. Other times, the recipe needs some minor tweaks. Every once in a while, a recipe needs a major overhaul. Regardless, I always have to go back to the grocery store a second time, so I can make the dish again, perfect it, and photograph it. Luckily, this particular recipe turned out delicious on my first try. The fresh Thai basil was so fragrant and the chili pepper added a nice level of spice. I used a little bit of fish sauce to intensify the flavor and add some delicious umami. Red Boat Fish Sauce is my favorite brand because the ingredients are very pure, making it Whole30 and Paleo compliant. Since I was able to get Red Boat Fish Sauce at Whole Foods, I decided to add a Whole30/Paleo option to my recipe. This burger is already healthy and doesn’t contain any breadcrumbs, so a Whole30/Paleo option works well here. Thank you Whole Foods for more inspiration. I used granulated onion and granulated garlic for this dish to make my meat extra flavorful. I prefer granulated onion and garlic over garlic and onion powder because the coarser texture gives a bolder taste. Perfect! The Sriracha mayonnaise (with the chives I worked so hard to get) tasted amazing and added some nice moisture to the burger. I would put this Sriracha mayo on anything—SO GOOD! This burger was an absolute flavor bomb. I was stoked! The only tweaks I decided to make were choosing a whole wheat bun over a regular bun (I felt that the whole wheat flavors worked better with the chicken) and adding black sesame seeds to the Sriracha mayo for more texture and flavor. I’ve made my recipe, gotten the kinks out, and now it’s time to make it again for the blog. Back to the store—repeat step 2. See? Grocery shopping can be very… inspiring, annoying, exhausting, exciting…You name it! This just goes to show that any boring, old errand can become an inspiring one, if you look at it with a fresh perspective. 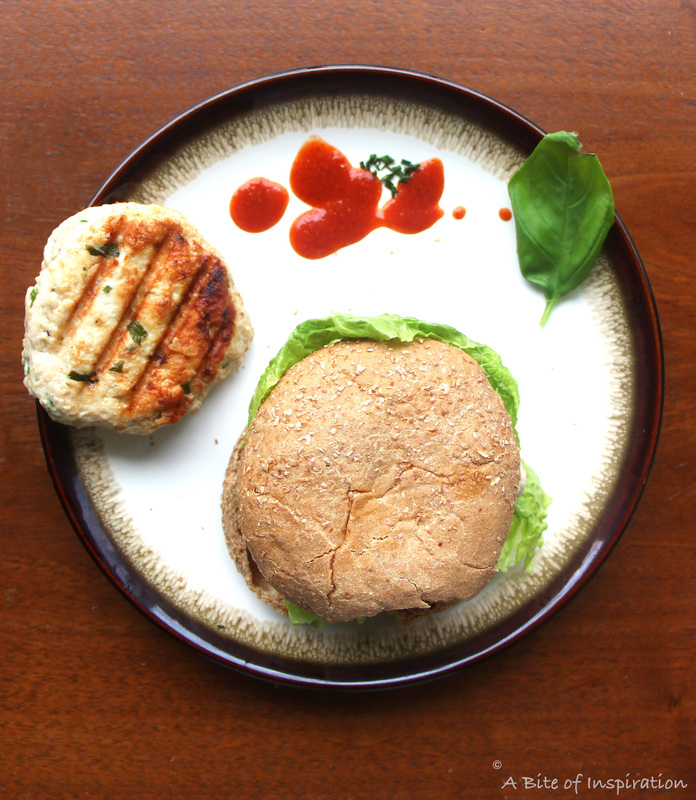 This Thai-Style Chicken Burger is one of the most flavorful, delicious burgers I’ve ever had. While in a way, the inspiration for this recipe was my Thai takeout meal, I certainly wouldn’t have gotten quite the same result, if I just got my groceries delivered. My (multiple) trips to the grocery store shaped this recipe. It’s all part of the job, folks! Hope you enjoy! 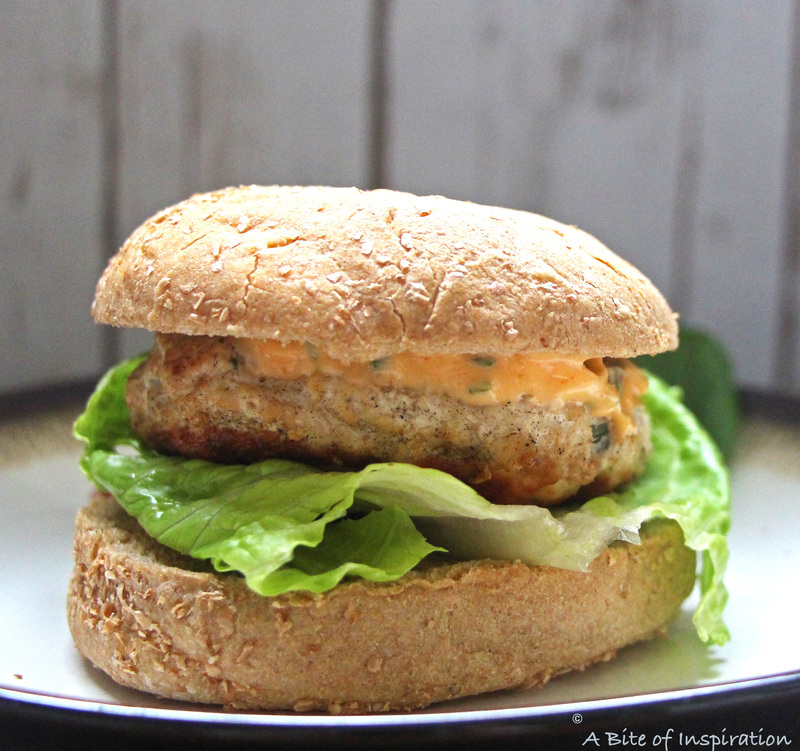 This delicious, easy-to-make chicken burger is packed with bold Thai flavors! Grilled to perfection and topped with an addicting spicy mayonnaise. See notes for a Whole30/Paleo option! Put ground chicken in a large bowl. Add basil, chili, fish sauce, garlic, onion, salt, and pepper. Mix well with your hands until thoroughly combined. With clean hands, form 4 equal-sized patties. Brush both sides of each burger with oil. Once the grill is hot, carefully place burgers on the grill. Make sure they aren’t touching. Cook for 3-4 minutes on each side until cooked through. If using a meat thermometer, the burgers should reach an internal temperature of 165 degrees. While the burgers are cooking, make the spicy mayonnaise. Add all mayonnaise ingredients into a small bowl and mix well. Spread about 1 tablespoon of mayonnaise onto each top bun. Put a piece of lettuce on the bottom bun with the burger on top. Serve with extra Sriracha on the side, if desired. Enjoy! Whole30/Paleo option: The burger without the mayonnaise or bun is Whole30/Paleo compliant as long as you’re careful with your ingredients. Make sure you choose a pure Whole30 compliant fish sauce, such as Red Boat Fish Sauce, with no MSG or added ingredients. If you’re having trouble finding it, just omit the fish sauce and add a bit more salt. Make sure your granulated garlic and onion, don’t have any additional ingredients in them either. Check the labels and make sure it’s just onion and garlic. Omit the mayonnaise or use a Whole30/Paleo compliant one instead. Sriracha is not Whole30/Paleo compliant because it has sugar in it, so you will have to omit that. 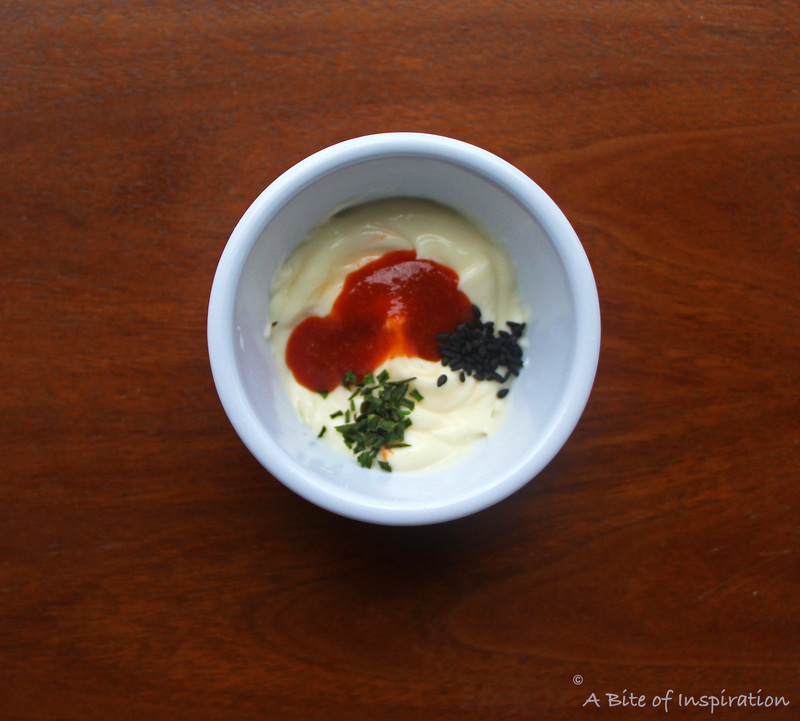 Feel free to add the chives and black sesame seeds to you Whole30/Paleo mayonnaise, if using and if desired. Wrap the burger in lettuce instead of a bun. Now, you have a healthy and flavorful meal that fits with your diet! If you can’t find Thai basil or Thai chili pepper, feel free to use regular basil and any red chili pepper with a medium spice level (serrano peppers work well). Also, feel free to substitute the black sesame seeds for regular ones. Feel free to use onion and garlic powder in this recipe, instead of granulated onion and garlic. The flavors are the same, I just prefer the coarser texture of granulated onion and garlic for burgers. i love grocery shopping!! i walked into a new whole foods the other day and was so excited (my friend was unmoved, especially since i’ve dragged her to the grocery store many many times with me). anyways, these sound so good, and the burgers sound so flavorful with the basil and fish sauce! Yes!! So glad to find a fellow grocery store lover. New grocery stores are the best! They’re like uncharted territory– you never know what yummy goodies you might find (especially for us, food bloggers!) Thanks for stopping by, Heather! That burger patty looks amazing – you can see all the specks of flavor in there! I really enjoy thai flavors and this is a great new way to experience them. Plus, this is a perfectly healthy meal for me and my family, which is really important too! And mmmmmm….sriracha mayo! I know, right?? Nothing better than sriracha mayo. I get hungry just thinking about it! 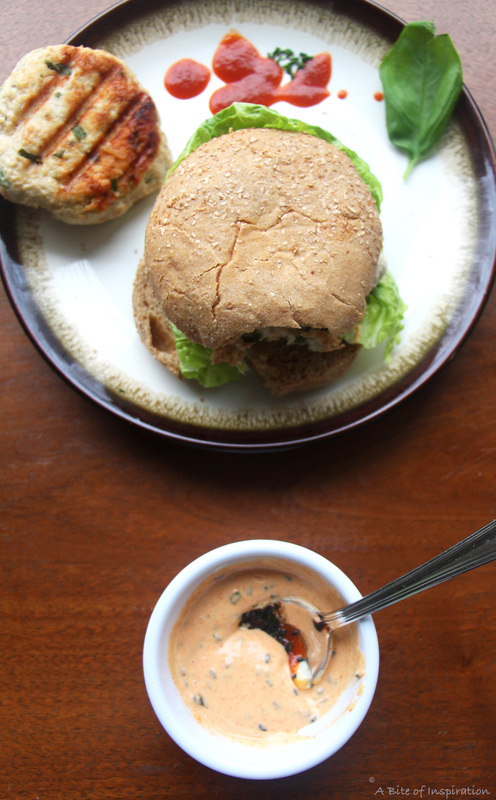 If you like regular sriracha mayo, you’ll love this one! It has sesame and chives for a bit of a flavor twist. Hope you and your family enjoy this flavorful meal! Thanks for stopping by, Alison! Haha! I’m at the grocery store all the time, too! At all hours of the day and night :). Fortunately, I enjoy it! This looks great. That Sriracha sesame mayo sounds amazing! Haha so glad you can relate, Kelsie! I’m at the grocery store at random times of the day and night too. Luckily the grocery store that’s closest to my house is open 24/7 or I would have to move! 😉 Thanks for stopping by! I love “grocery store inspiration.” I was just at the store yesterday, and of course they were out of Brussels sprouts, but it was the one thing I needed most! In this case, I went to another store (we only have 2 stores in a 1 mile radius), But many times, it gives me the opportunity to come up with something different, which is so fun! Anyway awesome recipe, I am definitely going to have to try this for healthy weekday meals! Thank you so much, Danielle! That’s definitely how I feel too. Grocery stores being out of ingredients can either be a blessing in disguise or the worst thing ever depending on how badly you need it. Luckily, I have A LOT of different grocery stores to play with around here. 😉 This burger is perfect for a weeknight meal– super easy to make and definitely healthy. Thanks again! I really enjoy grocery shopping too. It is so hard not to overspend! I always run into the scenario where I am looking for a certain ingredient or two and the store is out of it! I almost always try to adapt with something else and it’s worked out pretty well for me. Anyway, these chicken burgers looks so tasty and flavourful with heat! Love the mayo sauce too! Ha! I go grocery shopping for fun as well. I especially love grocery shopping when I travel. I’ve had my fair share of problems with customs coming home as a result! I love the flavours in this burger. Do you think a little chopped cilantro would work in the burger as well? Thank you, Erica! 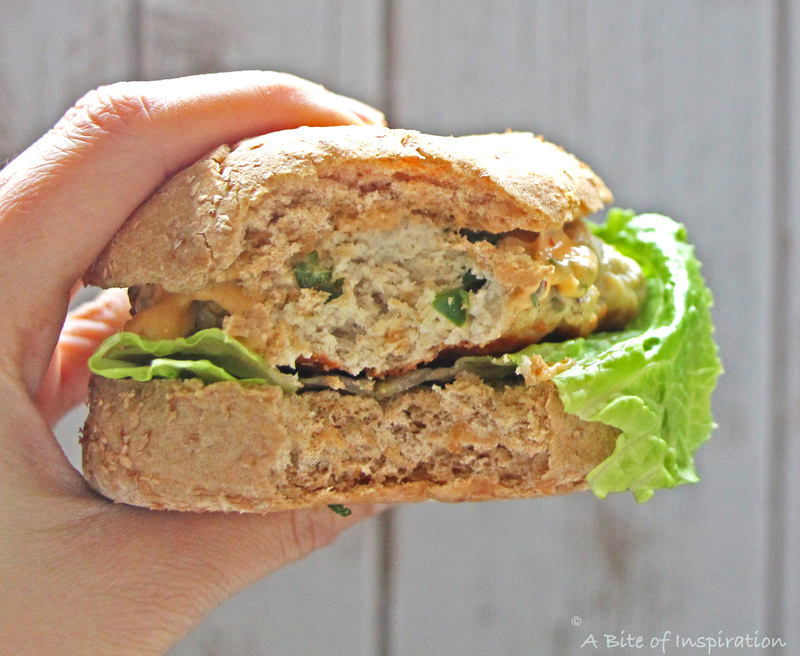 Definitely give chicken burgers a try. Ground chicken is similar to ground turkey, but has a slightly different texture and flavor profile, so it’s great for mixing things up! Fresh chives from the garden would be delicious in this recipe! Hope you enjoy! Haha I’m so glad you relate! Grocery shopping is an adventure. 🙂 I don’t have a car either right now, so I’m sure my friends and family who have to drive me around relate to how Terry feels. LOL Thanks for stopping by, Joyce!